Brad Pitt has reportedly been reunited with his children for the first time since estranged wife Angelina Jolie filed for divorce. The Wanted beauty stunned fans on 19 September, 2016 when she moved to end the Hollywood supercouple's two-year marriage for the "health of the family", according to her attorney, Robert Offer. 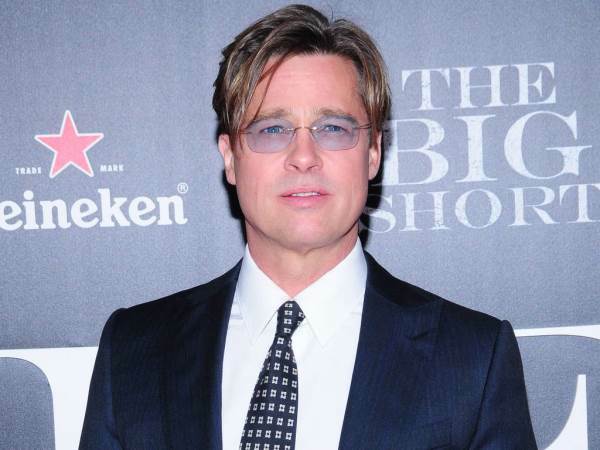 It subsequently emerged the actors had reportedly clashed over Pitt's style of parenting following an incident with their kids on a private plane trip from France to Los Angeles on 14 September, 2016 which prompted officials from both the FBI and the L.A. County Department of Children and Family Services (DCFS) to launch an investigation into allegations of child abuse. Late last month, the estranged couple reached a temporary custody agreement, and Angelina was granted full physical custody of their six children, with Brad receiving visitation. The first of his visits, which was monitored by a therapist, took place last Saturday, when Brad spent time with his brood. However, multiple sources tell both Us Weekly and People.com not all of the kids were present for the visit. Representatives for Jolie and Pitt have not yet commented on the visit, although the custody agreement, which was initially proposed by DCFS officials, is set for review later this month. As part of the deal, both stars will undergo individual counselling, in addition to family sessions with their offspring, while the Inglourious Basterds actor will also submit to random drug and alcohol tests. He recently volunteered for a similar test, which reportedly came back negative for both substances.